Auschwitz Exhibition Blog - The Höcker Album and SS life in Auschwitz. A Parallel World. 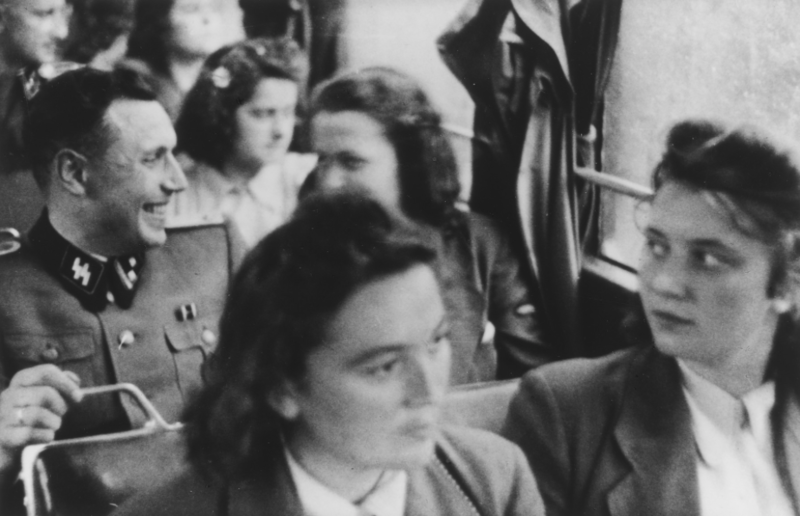 A glimpse into the lives of the SS at Auschwitz comes from an album of 116 photographs taken between May and December 1944, which is believed to have been owned by Obersturmfuhrer Karl Höcker – he’s the smiling man, serving berries, in the top row of pictures. 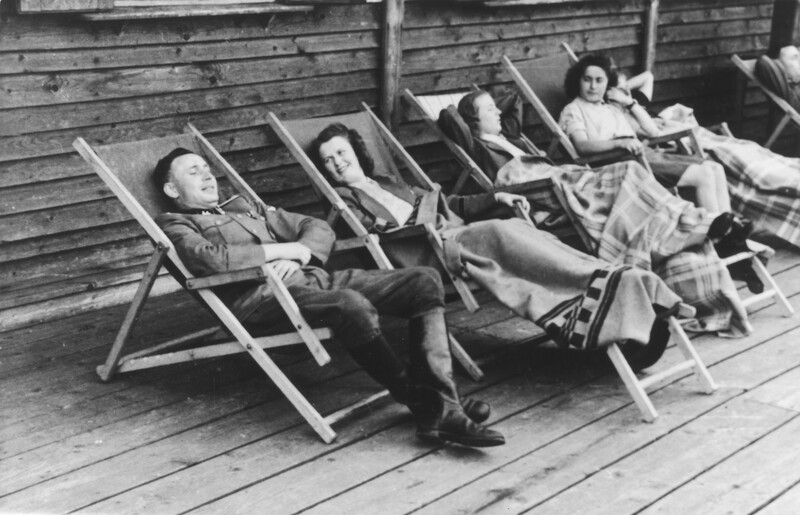 Many of them show senior officers, along with members of the SS Helferinnen (women volunteers who worked in the administrative offices of the concentration camps, mainly as radio, telephone and telegraph operators), enjoying some leisure-time at Solahütte, a beautiful lakeside resort 30 kilometers outside the main camp. But, who were these people that carried out genocide so lightly? What was their life like before they became mercenaries of the SS and caused, in a collective and individual way, an unimaginable human suffering? Some were career soldiers, yet many had very ordinary backgrounds. Höcker himself was a bank teller before the war, a job he would eventually return to – after a brief spell in prison. Franz Hössler, was hanged for his war crimes – as a younger man he’d worked in a warehouse. 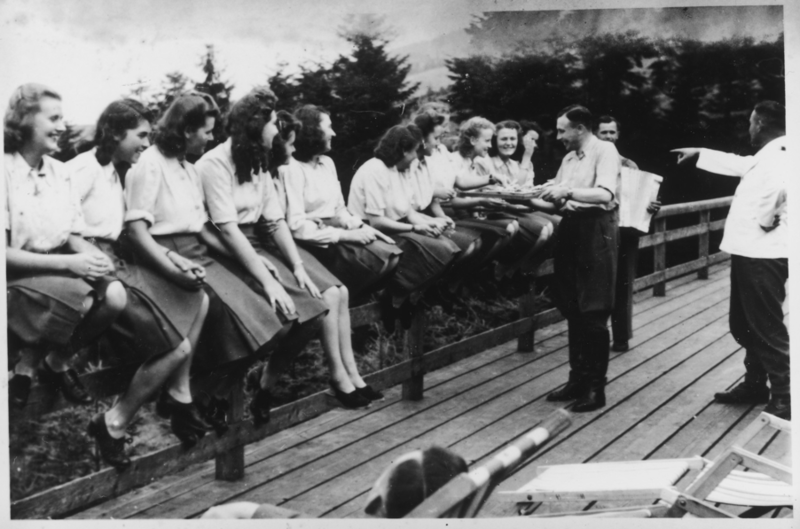 While Richard Baer, the Auschwitz commandant between May 1944 and February 1945 had, before the war, trained as a confectioner. They were, in short, people. And that’s why the most terrifying thing, perhaps, of this album is to understand that the perpetrators were not from another planet, but humans who followed an ideology based on hatred and contempt. 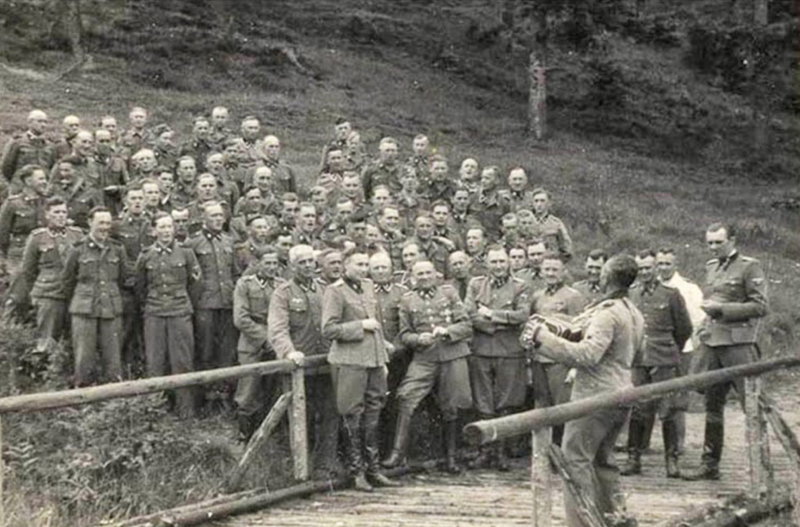 Perhaps one of the most surprising photographs of the Höcker Album is the one that shows an accordionist playing music in front of about 70 SS men. 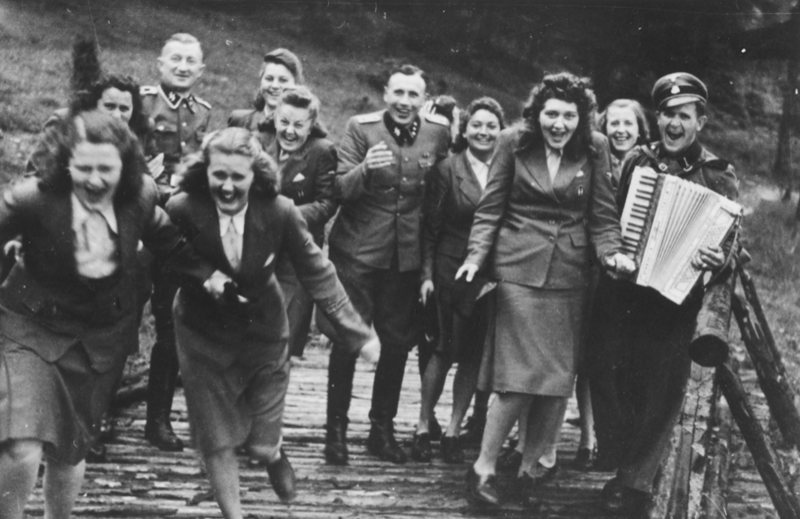 While hundreds of thousands of people were being killed in the gas chambers, the Auschwitz SS enjoyed these moments of singing and fun. 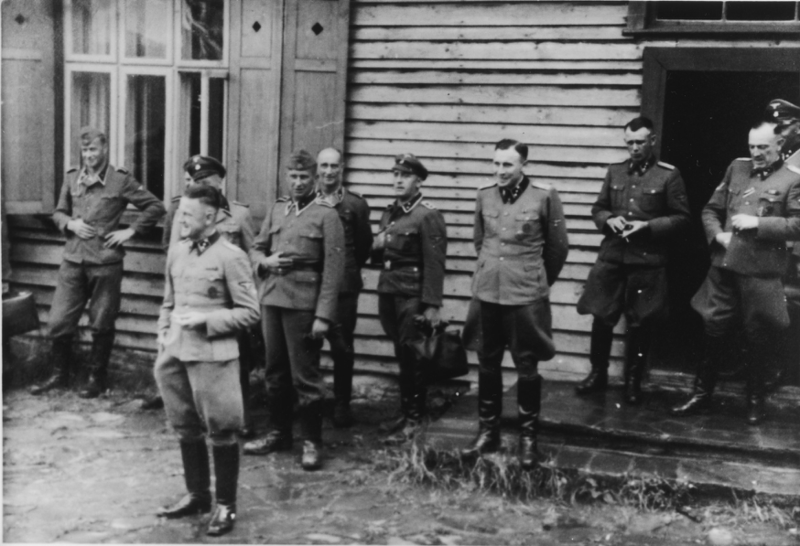 In the firs row we can see Höcker, the SS-Hauptscharführer Otto Moll (the supervisor of the gas chambers), Höss, Baer, Kramer, Franz Hössler (commander of the Birkenau women’s prison) and Mengele. Prior to its liberation by the Allies, Höcker fled Auschwitz. After the war, he worked for years, unrecognized, in a bank. But in 1963 he was forced to answer to charges for his role at Auschwitz at a trial in Frankfurt. In his closing words in the trial, Höcker claimed: “I had no possibility in any way to influence the events and I neither wanted them to happen nor took part in them. I didn’t harm anyone and no one died at Auschwitz because of me”. In the end, though, he was convicted on charges of aiding and abetting the murders of 1,000 Jews and was sentenced to seven years in prison. He was released after serving five years. In 2000, he died at the age of 88. The photos were made public by the United States National Holocaust Museum in Washington. 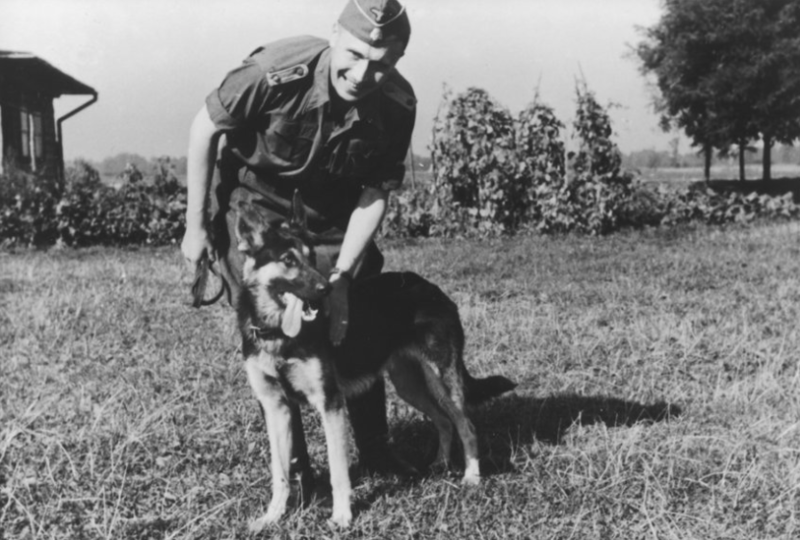 The museum obtained the photos from a retired US Army intelligence officer, who came across the album in an apartment in Frankfurt and has now given them to the museum.